This magazine is about fiction that isn't fit for "them". What do I mean by "them"? Who in particular are "they"? They are the government. They are your parents. They are your teachers. They are everywhere. A decade ago this week the Sydney Opera House architect Jorn Utzon died. I was on the other side of the world when this happened, living in San Francisco driving across the Golden Gate Bridge when his obituary was read out on the BBC World Service. Listening to this Dane’s extraordinary story about the building he dreamt up but never saw complete, I knew this most Sydney of stories would make a great book. By the next month I had pitched the idea to a publisher and spent the best part of the next decade wrestling to find the time to research and write it. A lot happened in my personal life over those 10 years. But I also spent a lot of time procrastinating. So I dreamt up some tips, from my own hard-wrought experience about what NOT to do if you want to write a book, or indeed undertake any creative endeavour. If the fire burns in your belly for such an undertaking (which is a core ingredient to success) you might find them helpful. If you’re hoping to snag a book deal based on your Instagram account, the good news is you don’t need anywhere close to Kim Kardashian’s 121 million followers. The photo-sharing platform has become a source for books and a gateway to publishing for many who started their accounts on a whim or simply as a creative outlet. Look through Publishers Marketplace’s book deal listings and you’ll see plenty of phrases like “Instagram influencer,” “Instagram artist” and “Instagram poet.” Books have sold based on all sorts of Instagram accounts, from We Should All Be Mirandas(@everyoutfitonsatc) to Bento Power (@shisodelicious) to Baseball Card Vandals (@baseballcardvandals), and far beyond. But how many followers do you need to rack up before publishers and literary agents are eager for you to turn your photos, artwork or poetry into book form? Jonathan Franzen is a Serious Writer, the sort of Serious Writer who requires capital letters whenever you describe him as a Serious Writer. 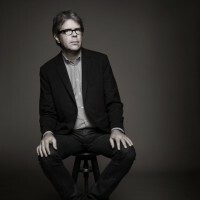 Most of us are serious writers inasmuch as we take our writing seriously and try to make it as good as we can, but that’s just peanuts compared to how seriously Serious Writers like Jonathan Franzen take their writing and how seriously they’d like us to take their writing too. These guys – and it is usually guys – have serious things to say that need to be not only said seriously but read seriously, interpreted seriously and discussed seriously, for writing is a serious business. What does it mean to write black? It means that the style of writing, storyline, the whole plot, characters, the book should be based on the only supposedly important aspect of your life, which is your race. The outcome of this is that many upcoming black novelists find it hard to come forward with their own pieces. Unique writings which do not particularly sit well with what a black book is understood to be, and which eventually causes a lack of uniqueness in writing style and diversity in storylines and plots. Battling the preconceived conception of your non-existent novel is one of the many problems that black authors face in the literary industry. ‘It is true that black authors are expected to write what they know- and apparently, in our case, that is ghettos, slavery and racism. You want to write romance, crime, blockbusters or sci-fi? Sorry, people, that’s not your thing’- Dreda Say Mitchell. Lerner Publishing Group announced today the acquisition of Zest Books. Zest Books publishes young adult nonfiction books on entertainment, history, science, health, fashion, and lifestyle advice. Zest Books will operate as an imprint of Lerner Publishing Group. As part of Lerner, Zest will launch at least 10 new titles in 2019, and further expansion of the list is planned future seasons. YA nonfiction is extremely important and relevant to todays teens, who deserve quality lifestyle advice and who are many times at the forefront of complicated current events. As teens continue to educate themselves and engage, YA nonfiction has become one of the fastest growing genres in publishing, said Hallie Warshaw, publisher and creative director of Zest Books. Lerner will be a great home for Zest Books because it ensures that Zest will continue to publish relevant and compelling YA nonfiction, while providing the support and expertise to become an even larger player in the marketplace. If you see a writer in a movie, most likely she (or he) will be tapping on a laptop. But many young writers are doing it on mobile phones, and sometimes in teams. Daniel, who uses the pen name LisVender, begins the story, which his writing team decides to call A Small Case of Writer's Block. The tapping of Sara's pen against her glasses became so rhythmic that it sounded like a metronome set to allegretto. She spun in her swivel chair, watching the bookcases in her study swing by. She had to admit it: her story was stuck, her characters were stuck, and so was she. Ella, pen name Elle, who has 313 stories under her belt, then picks up the tale. Welcome to the world of Inkvite, one of a number of creative-writing platforms popular with teenagers and young adults in the US. It allows users to share stories, comment on them, and also collaborate. Here, five Inkvite authors explain its appeal. Garrett has two current titles in her Midnight Ink Detective by Day series for sale: Hollywood Homicide, published in August 2017, and Hollywood Ending, published in August 2018, with a third, Hollywood Hack, scheduled for an August 2019 release. Hollywood Homicide was widely lauded in the mystery community, winning the coveted 2017 Agatha Award for Best First Novel and 2018 Anthony Award for Best First Novel, among others.